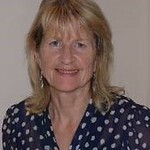 Christine Gibbons is an Alumna of the University having completed a BPharm (Hons) in Pharmacy in 1978. She also holds an MSc in Information Science from City University, London and an MBA from Cranfield Business School. Christine worked in hospital pharmacy and became Chief Pharmacist at Middlesex Hospital, London, in 1990. After completing her MBA, she went into hospital management and worked both at board and national level for 16 years. Retiring from full-time employment in 2013, she now devotes her time to unpaid trustee positions in the charity and not-for-profit sector. In particular, she is trustee of St Peter & St James Hospice, Deputy Chair of Hospice UK and Chair of Parkrun Global. Christine is married to another Bath graduate, Michael, who graduated with an Electrical and Electronic Engineering degree in 1979. Two years ago they established a University of Bath scholarship to support three undergraduate students.